"I HAVE ACHIEVED THE FLEXIBLE, RELAXED AND COST-EFFECTIVE LEARNING ENVIRONMENT I WANTED TO CREATE AT ADDINGTON STUDIO. IT CONTINUES TO EVOLVE." 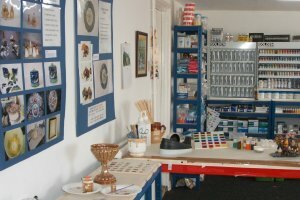 Tuition is tailored to the individual with a friendly mix of students including hobbyists, collectors and people wishing to go into private practice as ceramic conservators. Please be aware that three weeks intensive training will not equip you to set up in business as a ceramic conservator, which is why I offer ongoing tuition. This flexibility gives students time to complete long processes such as using Laponite in their own workspace before moving onto the next stages of conservation. I now provide tuition by the day or several days I can take group bookings or cater for individuals. It is best to be part of a group if possible as you will learn from other student’s trial and tribulations with their pots as well as your own. I am currently looking for a group of 3 students who would like to work systematically through a structured course of 3 day modules together. I also suggest that students wishing to study alongside other students try to book in during the first week of the month. I will try and work out a day that suits everybody!!!! It is really important to build up a network of fellow conservators with whom you can share triumphs and progress as well as difficulties. I apologise to those of you who emailed me and only received the briefest of answers I simply don’t have the time to teach over the internet but I have written up a couple of pots for you. I hope you find them useful. Hours 10am-4pm. If it makes traveling easier I am happy to do a split day ie start 1pm finish 4pm and start 10am finish 1pm the following day. 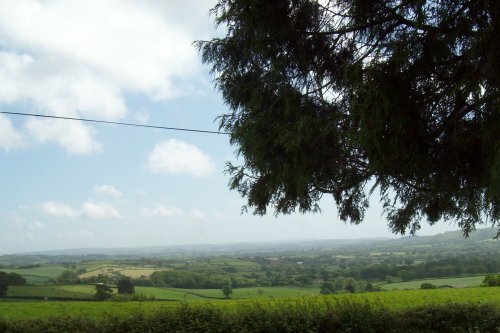 Addington Studio is in a very rural location, perched on the edge of a Jurrasic Basin known as the Marshwood Vale. Lyme Regis and the world heritage Jurassic coast are 6 miles down the road within easy driving distance. Those of you who need accommodation will find plenty at reasonable rates outside the beach season.